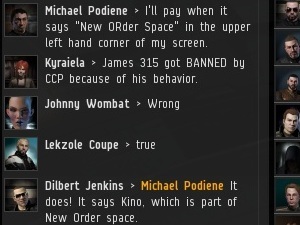 Each day, more bumpers rally to the cause and join the New Order. 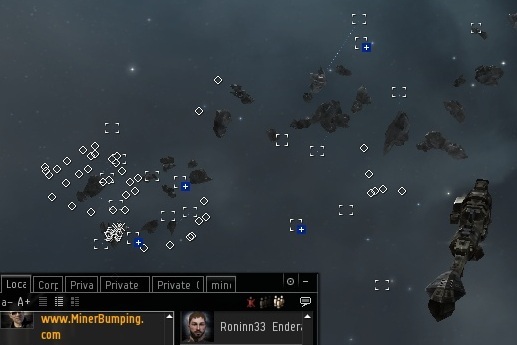 On some occasions, these bumpers find themselves drawn together by fate and create a critical mass in one of the ice fields of highsec. This is a story of one of those occasions. 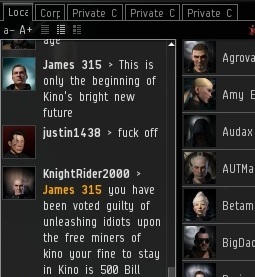 Long after false rumors of my ban were circulated, there were still many miners in Kino who believed the rumors to be true. But the Agents of the New Order kept the faith. 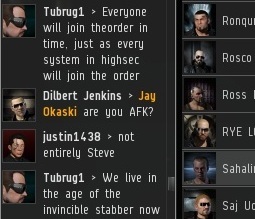 As Agents Johnny Wombat and Dilbert Jenkins kept vigil in Kino (and kept bumping), the Saviour of Highsec himself appeared. 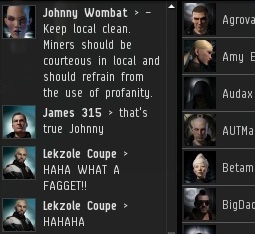 'Twas a joyous occasion, though some miners were sour as usual. Agent Steve the Pirate joined the party, making four. 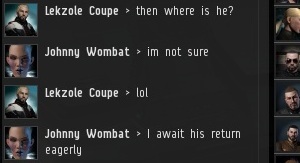 He dutifully checked to see if miners were AFK before bumping them. By chance, yet another supporter of the New Order, Tobrug1, entered local. Now the miners were having difficulty keeping track. Five bumpers, all standing for truth, and all with beautiful Stabbers or Stabbers Fleet Issue. They filled the ice field. It was a sight to behold. Miners, many of whom had only seen but one humble bumper in their lives, were not prepared for the glorious experience. Luckily, Johnny had a copy of the Code on hand and stood ready to quote from it when needed. With stabbers swarming the ice field, Code violators had nowhere to hide. So much for "as long as you're bumping me, everyone else can mine in peace." Some miners were able to adjust, and they paid their fees. Others were not yet ready to accept the change. And just when it seemed like things were going well, and Kino was being restored to its ideal form, something went wrong. Some say it was a critical mass of awesome that the Code violators just couldn't handle. Others say that for every nexus of goodness and order, an equal and opposite nexus of evil and chaos must arise. Whatever the reason, what followed next was a major miner meltdown. A beautiful sight to behold I'm sure, if only I could have seen it - My life would have been whole. Definitely something everyone should experience at least once in their life. Everyone add it to your bucket list. My friends. This is the sound of sweet victory. I declare that the next landmark shall henceforth be set at 10 stabbers simultaneously patrolling the fields of ice. Can you imagine 10 stabbers in the same ice field? That might be enough to organize a proper game of Miner Football! 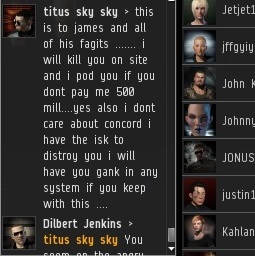 I heard that that's what CCP GM's did to a botter that was streaming his botting live. Please record a video if such a thing happens.